Sometimes inspiration comes when you least expect it. I am not a huge football fan, at least when compared to most true fans of the sport, which includes my seven year old son. He yells at the television when his team makes an error, cheers when they score, jumps up and down when they win and will become inconsolable when they lose. I don’t enjoy the football game on TV nearly as much as I enjoy watching how he enjoys it. This past Sunday night, we watched the ultimate of football games, the pinnacle of the football year, also known as the Super Bowl. At 6PM we were ready, stocked with pizza and snacks, to watch the big game. I reminded him as I usually do that since this was a live broadcast that skipping through the commercials was not an option but that it was ok because they are usually the best commercials you’ll ever see and you may only see them once. During the halftime period, a commercial came on that caught my attention and held it. The aged voice, gravelly and timeworn, spoke of the two teams preparing themselves for the second half of the game, each one wondering what they could do to win. The voice went on to say that in America, it was halftime as well and that people were wondering what they were going to do to make a comeback. The monologue continued, interspersed with images of great cities, some in decay, some shining with hope, photos of families, clips of firefighters and autoworkers, all symbols of resilience and strength, standing tall and proud. He talked about Detroit, the Motor City, and how they had “almost lost everything” before they began making their comeback by pulling themselves together as a team. He transitioned from there to talk about our country’s past, our trials and how we ultimately came together to overcome adversity and obstacles, because, as he put it, that is what we do. We find a way through and if we can’t find one, we make one, we look ahead to what lies down the road and we don’t dwell on what is behind us. Most importantly, he reminded us that America can’t be knocked down easily because we always rally together when our back is to a wall and when we do, the world hears us loud and the world hears us clearly. When the two minute message was over, I felt that same feeling I always feel when I hear a powerful message, more often in church or when I listen to a recording of a speech given by Kennedy or Reagan, that communicates in its own way that everything is going to be ok. It wasn’t shouted in the fervor of an evangelistic outpouring or spoken in the cadences of rhetorical politicizing but in the course tones and raw voice of a man now well past his youth but obviously still very much the man he always has been. Tough, unyielding, undergirded by a resolve of steel and possessing of stamina, he extolled what was and prophesized what will someday be again. During the airing of the message, I noticed that my son was watching and listening attentively, completely still with his eyes fixed on the screen. When it ended, he came over to my chair and said “Daddy, who was that?” “That” I said with emphasis, “was Clint Eastwood”. To that, I almost added that he was “once the toughest guy in Hollywood” but I didn’t. He still is. In thinking back to that commercial and its powerful message of hope and belief in the American people, I thought how appropriate it was that they chose Clint Eastwood to deliver that message. The Eastwood of my memories was always strong, capable, determined and at times, a bit ornery and feisty, traits that we often associate with America’s first two centuries. He was also compassionate to those that were weak and who needed protecting, much like our country has always been. He starred in many movies that I remember well from the 60’s onward such as “Every which way but loose”, “Bronco Billy”, “Escape from Alcatraz” and many more. 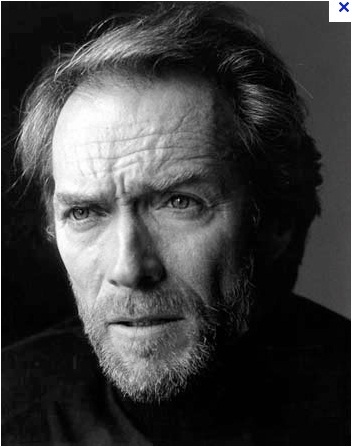 In every role he took on, whether outlaw or hero, he invariably played a tough guy, determined to succeed despite any obstacles and like his line from the commercial, he would always either find a way through or make one. Even when he played a bad guy, you always felt yourself pulling for him and wanting him to succeed. The Eastwood of today is a parallel to our own country. His hair is thinning and gray, his face is craggy and lined with age and his voice is raspy and gruff, all the result of the passage of time. Our country, like him, is older, our youth now behind us and maybe to some, our message of hope to the world is less clear but one thing that remains the same of both the man and our country is the foundational elements of who both are. Character, fortitude and resilience come to mind. Over the past fifty years, we have experienced many things that have tarnished our image such as the Bay of Pigs, Watergate, Iran Contra, Monica Lewinsky and more. We have taken blows such as Vietnam and the assassination of political and ideological leaders named Kennedy and King and we have surely staggered under punches such as the September 11 attacks. Most recently, we have languished in an economic recession that has left us bewildered and uncertain of ourselves and our free enterprise system. We aren’t the new kid on the block anymore and we don’t have the vitality of youth that we once had but like Eastwood, all that we have been and all that we still are remains central to our core and no one should doubt in our ability to pick ourselves up and get back into the game. History has proven time and time again that we can’t be knocked out with one punch, or with many punches because despite what our detractors might think, there is a lot more to us than what they see on the surface. Eastwood was the choice of an advertising agency, hired by a car company to deliver a message. So what if it was an ad? It doesn’t change the fact that the message was on target and that it was a message we needed to hear. Maybe it could be construed to be political in nature, which is what some are saying, but isn’t every political speech an advertisement for the person running for office or trying to stay in office? If what the speaker is saying is true, what difference does it make who conveys the message? Sometimes we need to stop looking under the rock and just accept the rock for what it is. I don’t think you could pay Clint Eastwood enough money to make a statement that went against his own convictions or one that he didn’t believe in. His history of integrity just doesn’t support that. The message, however it was delivered, was true. We are, in a sense, at the halftime point, a period where our beliefs and our convictions are being sorely put to the test. It’s the time when we need to stand up, shake off uncertainties and doubts in who we are and ready ourselves for the second half of the game. We may not always lead at halftime but we have a way of coming back from behind to win the game. It won’t be easy but no true test of character is ever easy. It doesn’t change the fact that we can win and if we pull together as team, we can win it big. To use Eastwood’s closing line, “It’s halftime America….. and our second half’s about to begin”.